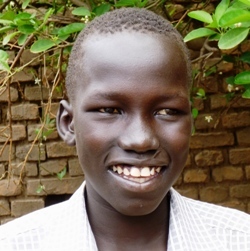 In spite of severe poverty and numberless street kids, God is at work in The Sudan. We see our children growing both physically and spiritually. They are becoming leaders in the church and Sunday school, sharing with others the hope and joy they have received. No gift is too small to save a child from a life of stealing, drugs and prostitution. Help us rescue another child from off the streets and give them the love and care every child deserves.